The SF Pro Forged Plus is right at the top of the intermediate riser price range, currently you will find it for around £219 available on eBay HERE, but do shop around you may find it for a little cheaper. SF or Sebastian Flute is the budget brand for Win & Win, a very famous Korean brand. Now this riser is becoming very popular, it's probably the most talked about riser at the moment, and for an intermediate riser, this is quite a task. At 1120g it's at the lighter end of the scale. This is a very very pretty riser, it's made from forged aluminium rather than cast, giving it it's name. This in theory gives it more strength, though it's something quite hard to test. I have also yet to see a metal riser fail. It has an anodised finish rather than painted, which should be tougher and harder to chip. The riser has the usual vertical and lateral adjustment, very easy to use with the supplied allen keys. It has fittings for longrod and toprod, two pressure button holes and the regular sight fittings. SF ship the riser with their own pressure button and arrow rest, I'm not sure why they do this, as the riser certainly doesn't need any more selling, it seems great enough, but I'm not going to argue with freebies. Without going into too much detail, the pressure button seems to work very well, has three interchangeable springs for different spine arrows and is relatively easy to adjust. The rest is a magnetic one, straight from the box it seems to work well with wider arrows, but when moving to a thinner carbon arrow, the metal bar does need a little bit of a twist up to hold the arrow spot on. It's not a big issue, but worth noting. I personally prefer to shoot with plastic rests, especially given how cheap they are, but i've given this one a bit more of a chance seeing as it came free with the riser. The only criticism of the riser I have seen is that the grip does not fit well for people with large hands. Given I have pretty huge hands, I'm probably perfect to try this out. The grip is finished in a rubbery anti slip material which feels comfortable to the touch. 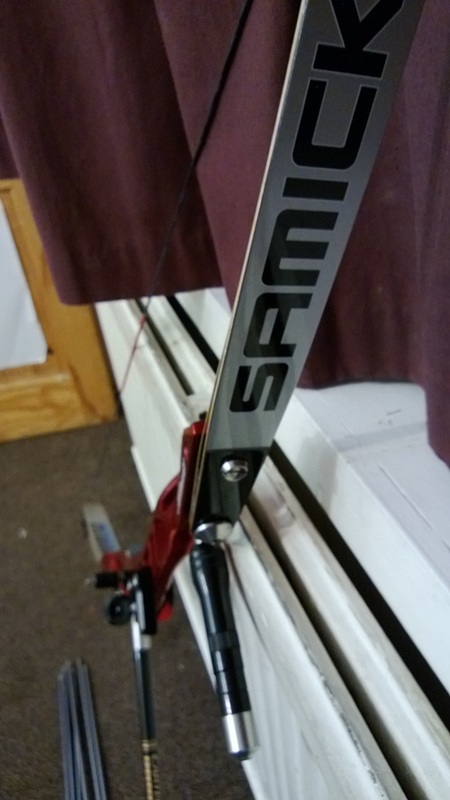 Starting with a light indoor set of 28lb Samick limbs available on eBay HERE (and I do think it's worth while pointing out there really is no need for high poundage bows indoors. the only difference it will make is to tire you out and make pulling your arrows out of the boss harder!) the riser straight away feels light and comfortable. The grip moves your hand into quite an upright position, which feels awkward at first, but helps remove the temptation to grip the bow. After a few ends the riser does feel like it wants to twist around a little, however after adding a toprod as well as the longrod, this settles down. For the next few ends I shifted to a pair of 40lb Hoyt limbs to see how it feels with a bit more power going through it. Taking off the toprod to see how the stability was, I was surprised to see how much nicer the bow felt. Now these were much nicer limbs on the riser, but the riser feels much more at home, this is probably more to do with the grip position than anything else, but it really does feel nice. The most obvious competition for this riser is the Hoyt Horizon, which I shall be reviewing later. Well worth the comparison as this is the second most talked about intermediate riser currently. 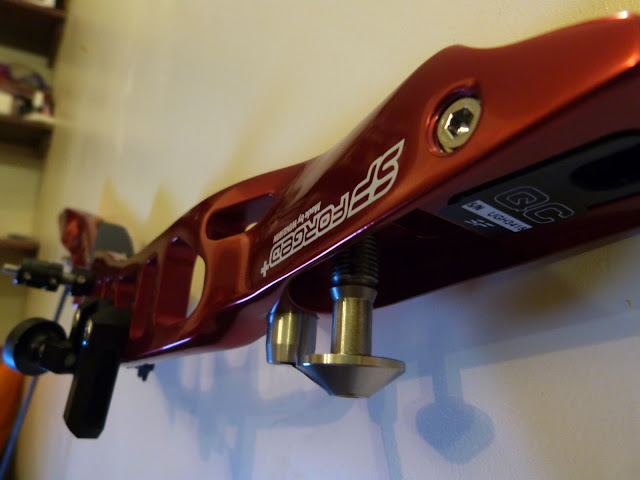 Overall, the SF Pro Forged Plus which is available on eBay HERE is a very nice riser, the build quality is excellent, and it feels like you are holding a top end riser rather than intermediate. I would highly recommend one, the only concern being the cost and whether we can find a riser equally as good for considerably less money. 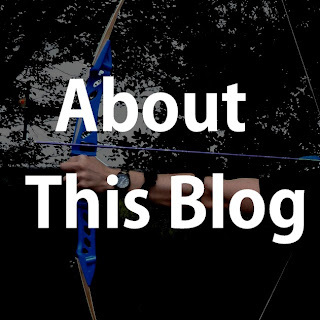 There are intermediate bows for half the cost, but are they as good?